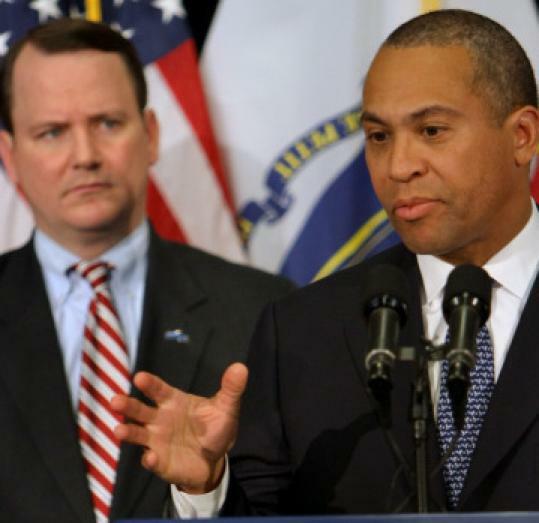 Governor Deval Patrick is in “good condition, alert, and resting comfortably’’ after successful hip replacement surgery yesterday at Massachusetts General Hospital, his surgeon said. The procedure lasted about 2 1/2 hours and there were no complications, said Dr. Harry Rubash. Patrick will have to remain in the hospital four to five days, then undergo a few weeks of outpatient rehabilitation, Rubash, the chief of orthopedic surgery at Mass. General, said in a statement. Patrick’s left hip, painful and debilitating due mostly to arthritis, needed to be replaced. He first injured it in Sudan more than 30 years ago. Patrick, 53, reported to the hospital at 6 a.m. yesterday and gave a thumbs-up to TV cameras as he went in, said spokeswoman Becky Deusser. Lieutenant Governor Timothy Murray has taken the reins of government in the interim. Patrick has said Murray would serve as acting governor for a day or two, Deusser said. Patrick injured his hip in a 1978 truck accident in the East African nation, where he was working on a postgraduate United Nations fellowship. Patrick told the Globe last month that he expected to be back to working from home within 48 hours of the surgery.